L-CAM provides Real Property Appraisal Review Services for lenders. We review appraisals of commercial, industrial, residential and special purpose properties nationwide. All of our review appraisers have at least 25 years experience in the field of commercial property appraisal and commercial property appraisal review. Mr. Sikorski began his appraisal career with Hogan & Farwell Inc. from 1965 to 1977 where his assignments involved the preparation of both residential and commercial appraisals throughout the country. 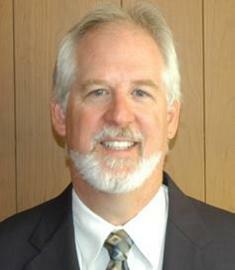 From 1977 to 1980 he managed the commercial real estate appraisal department for L.J. Sheridan Company. Mr. Sikorski was self-employed from 1980 to 1986 as a commercial real estate appraiser with assignments throughout the country. From 1986 to 1989, he was Regional Chief Appraiser for the commercial property division of Home Savings Bank of Los Angeles, California (Savings of America in all other States). His region of responsibility covered all the United States. 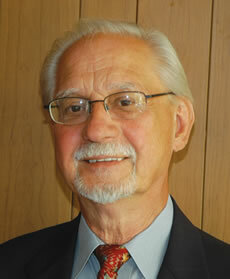 Mr. Sikorski was employed in 1989 by the LaSalle National Bank, Chicago as the Bank’s Chief Appraiser and manager of the Commercial Appraisal Department and the Environmental Department until his retirement in June 2004. Currently, Mr. Sikorski is a principle of L-CAM, Inc. which specializes in nationwide appraisal review services. In addition, he consults with numerous banks in matters pertaining to FIRREA regulations and real estate appraisals. The bulk of his work assignments involve providing appraisal reviews of bank ordered appraisal reports on commercial properties throughout the United States. He has reviewed commercial appraisals of properties in Canada, Mexico, Germany and the United Kingdom. His review services have been provided to CIBC Bank USA (formerly Private Bank), Pacific Western Bank, National Co-Operative Bank of NY, Evergreen Bank, Oxford Bank, Inland Bank, Assessor of Rockford and Allstate Investment, LLC. to name a few. Robert Bruce Landis has prepared numerous appraisals and reviews for court testimony and/or major lending institutions since 1981. Mr. Landis has been active as an appraiser and reviewer in the Los Angeles, Nashville, Atlanta, Phoenix, and Chicago residential and commercial markets over the years. He has reviewed appraisals of all property types nationwide for over thirty-five years. Mr. Landis also has extensive nationwide experience appraising subdivisions, acquisition and site development for all property types, going-concern properties, and commercial & industrial properties. Robert has completed and passed the experience and educational requirements required for the MAI and AI-GRS designations. He has completed and passed the Advanced Residential Applications & Case Studies class and successfully passed the Advanced Residential Report Demonstration report requirements. For a little levity check out our dream cars here.